Toronto is one of the most livable and multicultural cities in the world. The Places Rated Almanac ranks Toronto as the safest large metropolitan area in North America. And with more than 200 different ethnic origins and more than 140 languages and dialects, Toronto thrives on its diversity. That message is embodied in the city’s Coat of Arms: Diversity Our Strength. Football has brought people in the Greater Toronto Area together for well over 100 years. Since 2007, the top professional football team is Toronto FC, recently capturing a trio of titles by winning the Canadian Championship, MLS Shield, and MLS Cup all in 2017. Toronto FC reached the Concacaf Champions League Grand Final in 2018. Annually, Toronto is home to national tournaments, international sporting competitions, and entertainment spectacles. The city boasts the world-class BMO Field, the National Soccer Stadium that was built for the record-setting FIFA U-20 World Cup Canada 2007. More than a dozen times since the 1970s, Toronto has hosted the largest Canadian soccer crowd of the year, including the 2017 MLS Cup which drew a capacity crowd of 30,584 at BMO Field and was then followed by Toronto FC’s championship celebrations and a city parade. 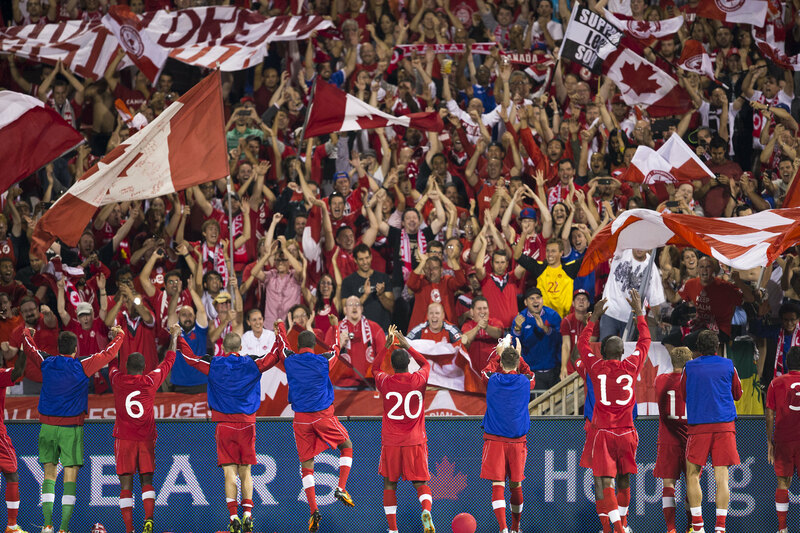 As a world-renowned city, Toronto has hosted significant international football events starting with Canada’s first entry in FIFA World Cup Qualifiers back in 1957. The city has also hosted football matches at the 1976 Olympic Football Tournament, the 1974 CONCACAF Youth Championship, the 1987 FIFA U-16 World Tournament, the 1998 CONCACAF Women’s Championship, the FIFA U-20 World Cup Canada 2007, and the FIFA U-20 Women’s World Cup Canada 2014. The city supports professional franchises in several sports: Toronto FC (soccer), Maple Leafs (hockey), Raptors (basketball), Blue Jays (baseball), Argonauts (football), Wolfpack (rugby), and Rock (lacrosse). The city also hosts the annual tennis Rogers Cup and an annual IndyCar Series. The greater city also includes Toronto FC II, the Toronto FC academy program, Canada Soccer’s Ontario Regional EXCEL Super Centre for young women footballers, and the recently unveiled York 9 soccer club that will join the Canadian Premier League in 2019.